A former Big Brother Naija housemate, Uriel Oputa has opened up on why her last relationship hit the rocks. 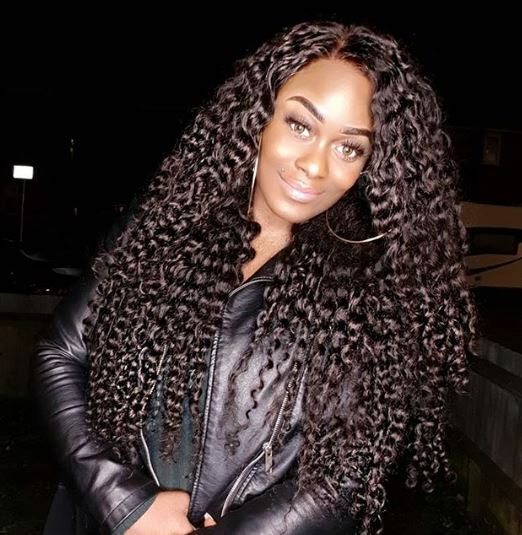 Uriel Oputa has spoken out about why her last relationship ended. 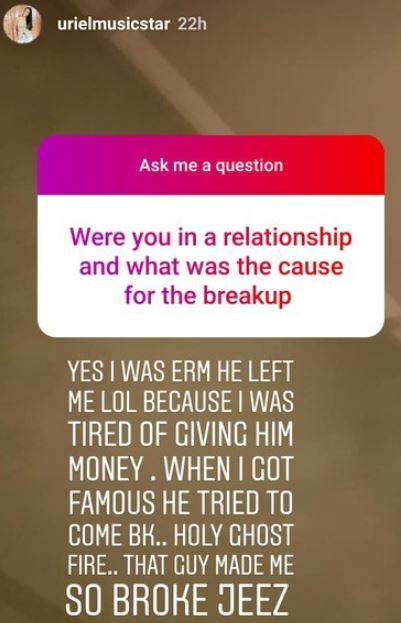 The BBNaija star made the revelation recently during a question and answer session she held with her fans on Instagram. According to Uriel, her boyfriend was in the habit of constantly asking for money and when she got tired of giving him the money, he left. She also revealed that the unnamed man tried to come back to her when she got famous but she would have none of it. Uriel made these revelations when a fan asked: “Were you in a relationship?